As a varied bunch, we each have our own ‘thing’ that we get particularly enthusiastic about. But when one of these comes along, we have a habit of unconsciously appointing ourselves “unofficial brand ambassador”, becoming the story’s biggest champion inside (and outside!) the office. One of my ‘things’ is the environment, I’m all about doing our bit to help Mother Earth. It’s a cause I’ve aligned myself with since my student days, so our recent work with Ecover (Hey! 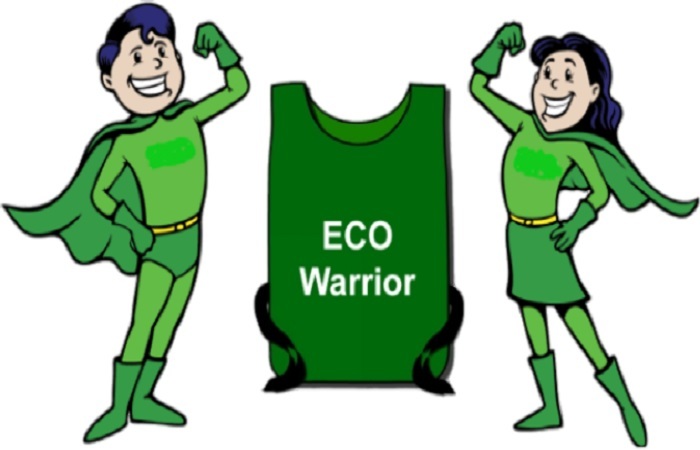 Over here), which champions the fight against single-use plastic, was right up my street and had me donning my eco-warrior cape in no time. Watching Blue Planet II left me horrified and feeling distinctly guilty, but also inspired to kick some bad plastic habits! Was there ever a more heart-wrenching moment than seeing a whale with a broken, plastic bucket in its mouth? Or clownfish trying to lay eggs on a plastic bottle?! Our Ecover work was the first environmentally focussed project I’ve worked on since joining ON (cue even more enthusiasm!) and, probably thanks to Sir David Attenborough’s powerful narration, the recent news agenda has been dominated by the environment, making our story very topical. For me, the best part about working on this campaign was spending a day with our eco-expert spokespeople. The things they knew about recycling blew my mind! Did you know that pizza boxes often can’t be recycled because of the grease that saturates the cardboard? Or that coloured plastic is less likely to be recycled because many plants can’t separate the colours? Me neither! I am now a fount of eco knowledge. But although all things eco-friendly are my ‘thing’, I’m pleased to say that on this occasion I wasn’t the only one to find inspiration. In fact, eco-friendly fervour spread far and wide at ON, and the team were spurred to take up ‘Plastic Free Fridays’ on the recommendation of one of our guests. Sometimes, we don’t get to see the outcomes of our work in real life, so it was a treat to see how a single story managed to change the behaviour of our whole office. And if you’re wondering… yes, I am now also buying Ecover!